With virtuosic assurance, Qiu employs distinct styles for each of the two narrative strands and unites them with a wry and wistful sense of humor. 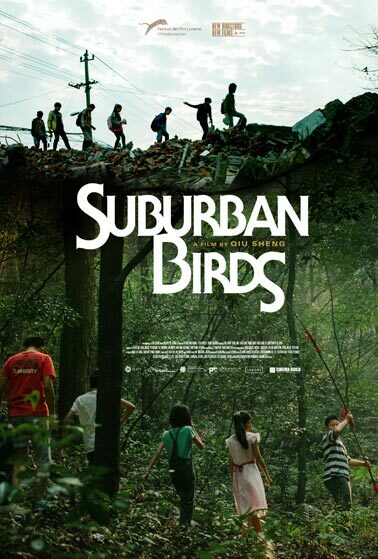 SUBURBAN BIRDS is both a reflection on the slippery nature of memory as well as a comment on China’s rapid urbanization that heralds the arrival of an exciting new voice. Critic's Pick! "A spectacular directing debut... Its observations on the expanding cityscapes of China recall the work of Jia Zhangke, while its near-mystical quietude has accents one recognizes in the films of Apichatpong Weerasethakul." "So good—and delightfully kinked—that it’s well worth catching now (and watching twice)." "Qiu Sheng's intriguing, adept debut feature...marks his voice as one worth listening to." "Suburban Birds is a rewarding and revelatory first feature from a fresh artistic voice." "Qiu Sheng's stylish debut feature is a seductively inscrutable puzzler." "'Stand by Me' meets Kafka's 'The Castle.'" "Qiu's directorial touch is remarkably gentle... he avoids schematic logic in favor of a light mystery of unity, seeking quiet depth beyond sensory perception."